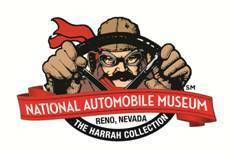 Two impressive new exhibits open in April at the National Automobile Museum, The Harrah Collection, in downtown Reno as the Museum continues its 20th Anniversary Celebration. A Masterpiece Exhibit focusing on the Motoring Tourist: National Park Adventure opens April 20th. See the incredible role the automobile played in shaping how we play in this new exhibit. Discover the role the 1910s automobile-loving public played in the creation of a National Park-to-Park Highway, a 5,000- mile scenic loop through 11 western states, connecting 12 national parks. Automobiles connected man and nature like never before and national parks allowed them to mingle. National parks embraced the motoring tourist and suppliers of car camping gear clamored to meet the needs of the traveling public. All of this is illustrated in the National Automobile Museum’s new Masterpiece Exhibit. WW I Gets Motorized is new in the Changing Exhibits gallery also opening April 20th. Since the dawn of organized warfare, the principal means of military transport was on the backs of men and animals or wagons drawn by them. World War I would change that. See the 1917 Locomobile Model 48 staff car ordered for General John J. Pershing’s use. The General would travel by train to the battlefield with Locomobiles on board the train with him. The Locomobile would be unloaded from the train and he would then use it to take him close to the battle. When he was near the action, he would then walk on foot to the front. Also see a 1916 GMC WWI ambulance. The exhibit includes personal treasures of a young WWI sailor – a poignant reminder of the youth who have fought our battles for freedom. * 1908 New York to Paris Around The World Race Featuring the Winning Car: The 1907 Thomas Flyer continues with its place of honor in Gallery Four at the National Automobile Museum. The exhibit tells the epic story of the longest, most grueling race in automotive history and features the winning car, the Museum’s 1907 Thomas Flyer. The race was a contest of man and machine against unimaginable odds. * Even in Africa, is a series of paintings by Reno artist Robert Cinkel depicting automobiles from the Museum’s collection in intriguing locals — from a starry night in the Nevada desert to India, Egypt and ‘Even in Africa.’ The paintings are showcased in the Entrance Hallway Gallery. John Cooper, University of Wisconsin-Madison author of the insightful biography of Woodrow Wilson. Edward Lengel, from the University of Virginia will enthrall the audience with a story about the Doughboys personal experience in the bloodiest battle in American history from his book, To Conquer Hell: The Meuse-Argonne, 1918. Brandon Wade, the award-winning director who made Paving the Way, tells the story of the National Park-to-Park Highway that linked national parks in the West. Chautauqua performances of Henry Ford by Doug Mishler and Madam C.J. Walker by Juanita Westbrook will add additional character to the Symposium. An optional bus tour enhances the seminar with a private tour of the magnificent George Whittell estate, the Thunderbird Lodge at Lake Tahoe, and the Governor’s Mansion in Carson City. Symposiums presented by the Museum routinely receive rave reviews and are open to the public. The History Symposium is $45. The optional bus tour is $50. To reserve a seat for the Symposium and optional bus tour, e-mail bclark@automuseum.org or call (775) 333-9300. 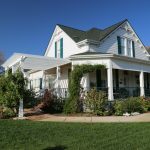 Enjoy a rare opportunity to tour the private Memories Antique Clothing Museum with the proprietress. 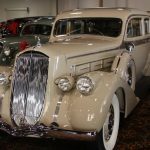 This is a stunning collection of fashions and accessories dating from 1800, and several outfits have been loaned to the National Automobile Museum over the years to enhance exhibits. 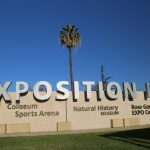 The $35 per person fee includes transportation from the Museum in downtown Reno to the clothing museum in Lemmon Valley. On Thurs., June 3 enjoy an Italian dinner, check out a display of MINI Coopers and see ‘The Italian Job’ starring Charlize Theron and Mark Wahlberg at the National Automobile Museum, The Harrah Collection, on the corner of Lake and Mill Streets in downtown Reno. In the movie, a gang of robbers create the largest traffic jam in Los Angeles history to pull off a theft of gold bullion. The gang members make their getaway in MINI Coopers, which are small enough to drive on sidewalks. Special Movie Night at the Museum pricing is $25 which includes an Italian dinner, admission to the Museum, all exhibits, the special MINI Cooper display and the movie. This event is sponsored in part by MINI of Reno. 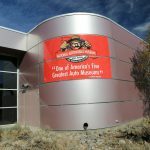 For more information on the National Automobile Museum, visit www.automuseum.org, call 775-333-9300 or e-mail info@automuseum.org. Enjoy the film, the Bill Harrah Story, which details the man and his love for the automobile and the Magic Carriage, an entertaining film detailing the role the automobile has played in shaping life in America. 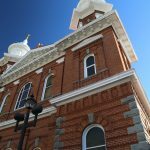 Both films are included with admission and are shown back-to-back every hour on the hour from 11 a.m. to 4 p.m. during a visit to the National Automobile Museum, The Harrah Collection, at 10 S. Lake Street in downtown Reno. National Automobile Museum audio tour, included with the price of admission, brings history to life through storytelling and sound effects. The tour is available in both English and Spanish. Visitors can explore history through the timeline of the automobile, including news making events, cultural trends and human-interest stories about cars and artifacts in the Museum’s collection.